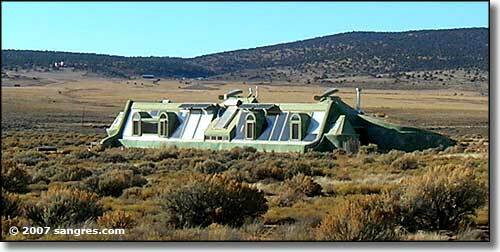 Just west of the Taos Gorge Bridge is what I call the "Earthship Landing Zone." 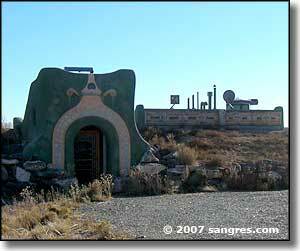 This is a subdivision composed only of earthships, a type of alternative housing that incorporates car tires packed with dirt into the construction of the outer walls. Most of the house is bermed into the ground with only the southern walls exposed, allowing for passive solar heating and light. It's a very effective method of building in a desert setting, as long as the car tires are suitably sealed and the home is properly vented (with this southern exposure they can get too hot if not vented properly). 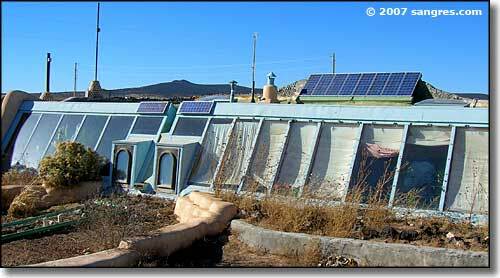 At the eastern end of the subdivision is a sample/model earthship that you can go into and learn about how they are built and what they have to offer. 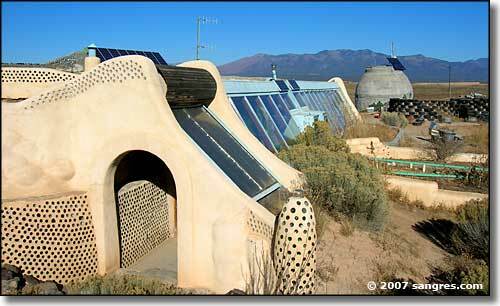 Imagine: a completely self-sufficient, self-sustaining home with zero utility bills. You'll notice in these photos that a lot of the windows are actually shaded internally: that's how good this construction is. If the windows weren't covered, the homes would be far too hot to live in. 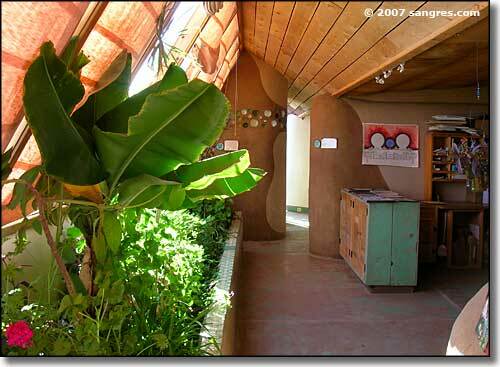 The model earthship has vegetables growing in the front windows year round. There's even a couple of small banana trees growing... All of the electric power comes from solar panels and wind generators. Grey water gets reused two and three times before finally getting flushed in the composting toilets. 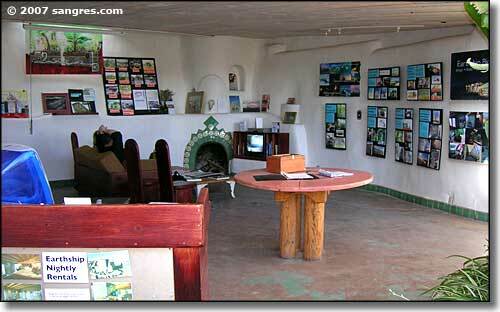 It's a sane and beautiful concept that is well demonstrated in the example earthship. And if you're really interested, they have complete sets of design and construction DVD's for sale. Check it out, this is something we need more of in this modern world. ...and another, this one even has vertical wind generators and a stretched Hummer tour bus in the driveway.